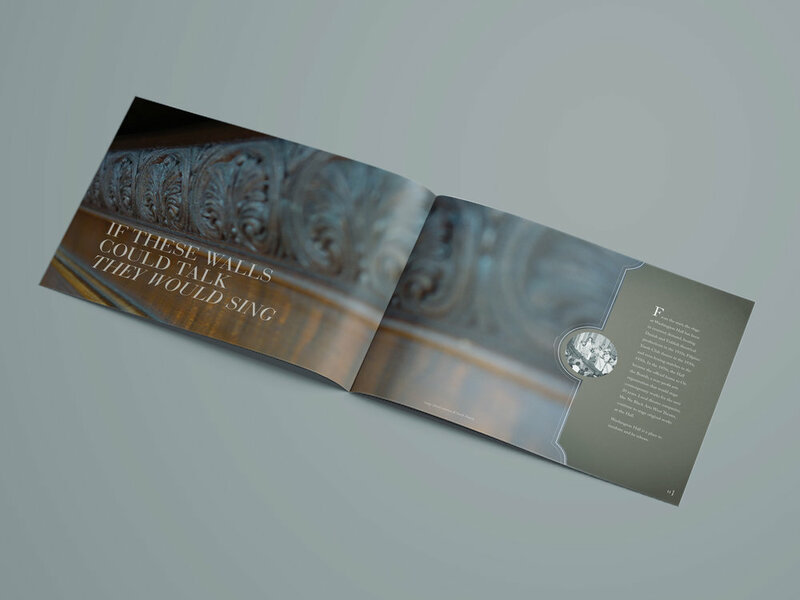 Create a timeless piece that celebrates the unique history of Washington Hall—a culturally rich, community-gathering place founded by Danish immigrants in 1908—while also situating a capital campaign to restore and revitalize the building. 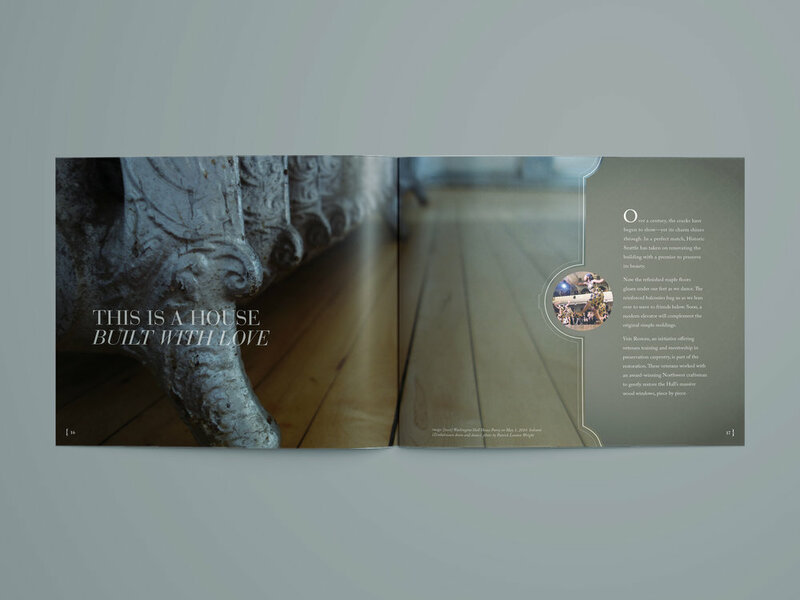 Through a collaborative process with the writer, we crafted a narrative that personified the building—holding equal prominence to all the different communities that have called Washington Hall home. The design was influenced by the Danish architecture; patterns were created from details found in the original building renderings—from the staircase metalwork to window ornaments. 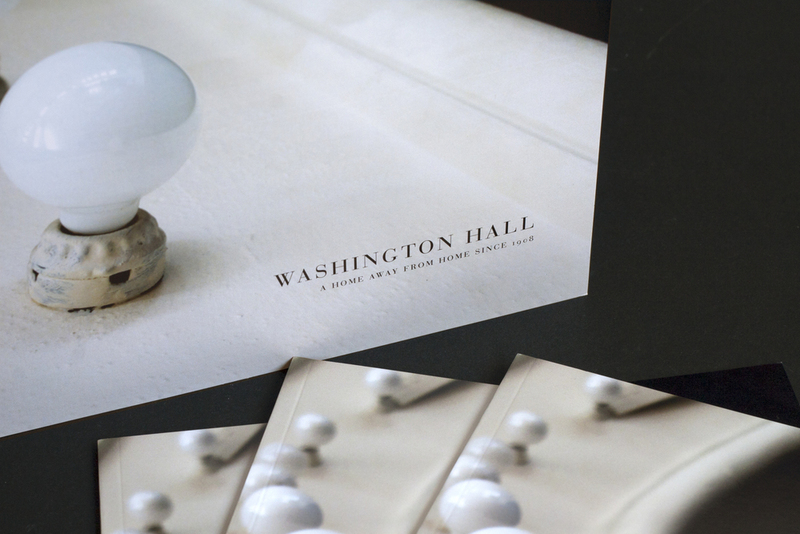 The union between renovation and history is achieved through the macro imagery of Washington Hall—it’s not wear and tear, but rather layers of history and culture, molded. such a good time doing what they are supposed to do."